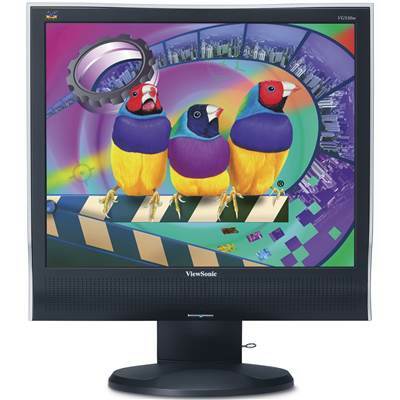 ViewSonic Graphic VG930M LCD Monitor, 19" (1280 x 1024) color TFT active matrix SXGA LCD, Contrast Ratio: 700:1, Brightness: 300cd/m², Response Time: 8ms. 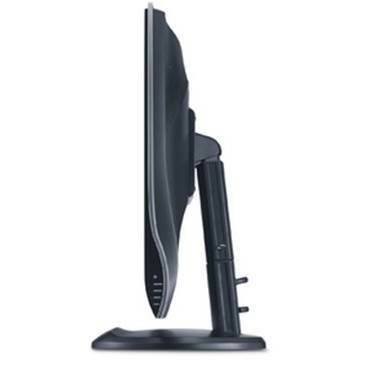 The ViewSonic® 19" VG930m delivers multimedia performance to your desktop in a stylish, slim design. It’s an ideal choice for business applications that include mixed data, audio, graphics and video content. Graphics professionals and gamers will love the FAST 8MS VIDEO RESPONSE that delivers blur-free, full motion video and crystal-clear graphics rendering. OPTISYNC® ANALOG AND DIGITAL INPUTS ensure seamless compatibility with VGA and digital DVI sources. VESA® wall mount compliance and the INTEGRATED AMP AND STEREO SPEAKERS reduce desktop clutter while accenting your office décor. The Kensington® security port offers theft deterrence and the OSD/Power lock ensures your optimal screen settings remain in place. Fast 8ms video response delivers broadcast-quality video. Innovative liquid crystal composition and pixel matrix accelerate video response for seamless video and intense graphics. Multi-mode input technology supports both digital (DVI) and analog (VGA) signals for ultimate compatibility and configuration flexibility. Ultimate ergonomic flexibility comes built-in with the convenient 3.2" height adjustment and 360º swivel. Save workspace and enjoy rich, stereo sound with two built-in stereo speakers. The full 19" viewable screen in an ultra-thin bezel lets you see more without taking up valuable desktop real estate. Physical With Stand: 16.8" x 18.9" x 9.1"
Physical Without Stand: 16.8" x 15.5" x 2.6"